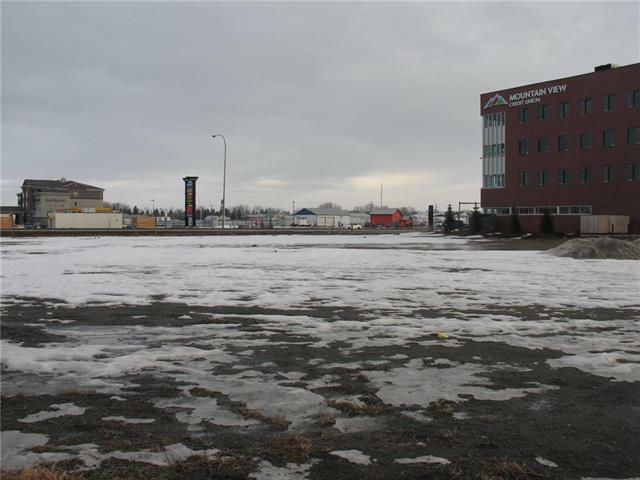 .88 acres of Bare land ready for a Development This land is a adjacent to Mountain View Credit Union administration branch along Highway #27. A major grocery store is just steps away and major Box store development is across the highway. Services including Fiber Optic net work to the property line. The adjacent parcel to the west is also listed on MLS. Are you a developer looking for a progressive community to build a strip mall or office building then look no further than the progressive community of Olds Alberta.